YOU WILL PAY A $69 - $79 SERVICE FEE ON THIS SITE. WE CHARGE PER ROOM. USE OF THE 2ND BEDROM IS $70 EXTRA PER NIGHT. DISREGARD A QUOTE FROM STAYZ FOR 4 GUESTS. WE CHARGE THE SAME AS FOR 3 GUESTS. Wattle-Wilde is a uniquely designed cottage for up to four adults in a secluded bushland setting that is extremely private and tranquil whilst only a short drive to the many attractions of the vineyards; wine tasting, restaurants, day spas, golf courses, galleries and regular music events. Beautifully appointed and scrupulously maintained, it is the only cottage on our 25 acre property. We have preserved much of the native vegetation which provides a refuge for a variety of birds and wildlife such as kangaroos and wallabies. Join the growing number of our regular guests for a cottage experience that will not disappoint. The cottage contains two roomy queen-sized bedrooms that sleep up to four adults, a cosy lounge area with comfortable leather lounges, a large bathroom with a two-person corner spa bath with a view to the stars, shower, a self-contained kitchen with four-burner cooktop, bench top oven, microwave and small fridge, slow combustion wood fire, digital LCD TV, DVD/CD player and iPod dock, DVD's, small library, recent magazines, timber floors and ceilings, ducted reverse cycle air-conditioning, barbeque with roasting hood, undercover parking for one vehicle, verandah and deck from which to embibe the local drop. Quality linen and towels are also supplied. THERE IS A $15 PER NIGHT STAYZ BOOKING FEE. 2 night minimum for adults only. 3 night minimum on public holiday long weekends. $1,035 for up to 4 adults for 3 nights. $690 for up to 4 adults for 2 nights. Small fridge with tiny freezer. Small bench top oven, suitable to roast a chicken or warm croissants. Olive oil, salt, pepper, Lavazza plunger coffee, Twinnings tea bags, loose tea leaves and fresh milk. Double spa in bathroom with view to the stars. Great secluded cottage, central location and clean! We loved our stay in this cute, tidy cottage. Very central location with a lovely secluded bush view. We even saw kangaroos in the morning! Amanda was very easy to contact and very welcoming. Would stay again. Rebecca was the perfect guest and a real pleasure to host. Great communication and the cottage was left in pristine condition. Most welcome to return. Beautiful Hideaway 10 min from the vineyards. We enjoyed a great weekend at Wattle-Wilde. Our host Amanda, left us a bottle of wine and fresh milk in the fridge. The house has a great veranda and is air conditions to escape the summer heat when you get home. Easy to find with signposts from the road. I had two nights at Wattle-Wilde and our experience there was nothing but Amazing. I loved the kangaroos hopping past as I looked out the window or when I sat outside relaxing with a wine looking out into the country area surrounding. The experience to stay here would not have me going back to motel style of accommodation. Amanda is amazing I had misread some information and Amanda was straight onto things to ensure we had it sorted before arriving. I might add Amanda was not well and not in a position to be sorting out my misunderstanding but she did. On my arrival and realising this I could not believe how she put the time in with me the day before. Linen was beautiful, beds so comfortable, everything so clean, enough wood to keep us going for the two days and nights, you just need to go and experience Wattle-Wilde. I gave a 5 star rating because to me it is a 5 star rating. Thank you so much Natalie for this heartfelt review! You were really easy guests to host. We always try to make our guests feel very welcome and comfortable, no matter what. It is our utmost priority that you get to experience an escape away, with all the little touches thought of, as well as the big ones such as lovely linen and a comfortable bed. Please come and stay with us again, as we love appreciative guests. Don't hestitate. Book, stay, you certainly won't be disappointed. Wattle-Wilde is truly magical. Nothing else compares. It is homely, secluded, beautiful, packed with all the features you can dream of and is hosted a lady who will occupy a place in your heart from the moment you start chatting. Amanda is very thoughtful and takes every consideration for your privacy but also makes herself available if the need ever arises. She has thought of everything with the cottage and has a way of making you feel valued not just as a customer but as a person. Haylee, thank you for such a wonderful review. We love repeat guests that appreciate the love and thought that goes into trying to provide comfortable and private accommodation. You are very thoughtful and thank you for taking the time to write this. We look forward to seeing you again. 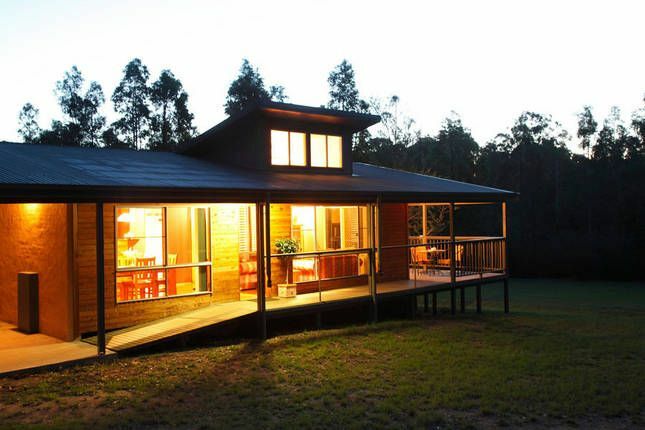 Had a spur of the moment "girls weekend away" and booked Wattle Wilde Cottage. Nailed it with this lovely, charming little cottage. Very clean, comfortable and pretty. The bottle of wine we recieved was also amazing! My friend and I had the best time away and plan to come back again, possibly with our partners next time. Thank you for your review Heidi. We would love to have you return with you partners next time. Our second stay at Wattle Wilde did not disappoint. This time we shared with our friends, relaxing, talking and sampling the local wares in the quiet, private bushland setting. Amanda aims to please and hits the target. Delighted to see you back again ...... and with friends this time. Very pleased also that the new mattress toppers on the beds improved the comfort factor rating. We would love to have you return!